My books shelves are groaning under the weight of what I believe is every Master of Ceremony book, Emcee Training Course and DVD ever published on the Art of being an MC. I’ve spent countless hours reading and a considerable sum of money collecting them, not only to help my career but also to help assemble these lists that I can recommend to you. These are what I consider The Essentials. 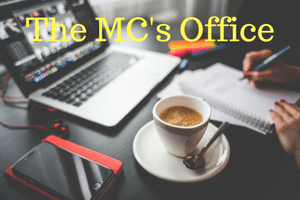 We cover both the essential skills of being an MC in many different areas AND the Business side of things. This means if you only want to improve your skills and perform your role better OR you want to start building a career as an Emcee, we have you covered. These resources will cut years off your learning curve, fast track your progress and help you avoid the numerous mistakes that beginners often make. Note – some of the sections have grown so large they now have their own page! Disclaimer … a few of the links below are affiliate links. That means I get a small commision if you decide the Tool is also right for your business and purchase via my link. There is no extra cost for you to do it via my links. Keeping in touch with my regular and prospective clients is absolutely vital to sustaining and building my business. Constant Contact is the acknowledged leader in the field. Very easy to use, with great support and training. Yes, it does have a monthly cost, but if it helps you get extra assignments, it’s well worth it. Look out for an upcoming article from me with some hints and tips. They usually have a free trial on offer, so click the banner below and check it out. If you would also like to read a full article on WHY & HOW I use Email Marketing, including a list of the exact things I put in a Client Newsletter read this article Email Marketing Tips. Your clients need to be able to find you, read about you and see some footage. I’ve tried most of the big name Hosting companies over the years – GoDaddy, BlueHost, HostGator etc. My current favourite without a doubt is SiteGround. Faster, more secure and they have great Customer Support. Any issues setting up a site or running the day to day operation, they are there to help. Plus they have a great backup system. All that and about the same price as the others. Plus they help you move an existing site over to them! Some people use Dropbox to deliver important files and proposals to their clients when they are out on the road. As Wedding Master of Ceremony is such a specialised and popular area I have given it it’s own section. 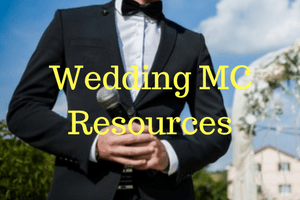 There are Emcee Scripts, Resources for adding some Jokes, Runsheets, Activities, Wedding Planning Guides and plenty of advice. Useful for the Master of Ceremonies, anyone making a Wedding Speech and anyone planning a wedding including the Bride & Groom. 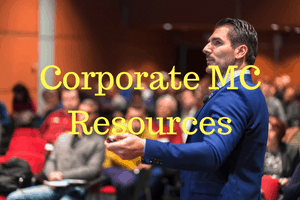 The Corporate MC section is actually broader than the title may suggest at first glance. Material here is also suitable for MC’s working for Associations, Community and Sports Events. Great material for anyone working these niches or wanting advice on being an MC for the first time. Anyone can create extra income streams online! And it doesn’t matter where you live! Someone in the Philipines or in India has just as much chance as someone in the United States or in the UK! Having a good memory is such a vital skill for any MC! 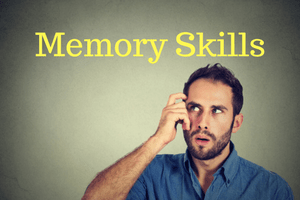 The Memory Skills section explores the Secrets to a better Memory. We explain exactly why you need to sharpen your skills and show you how easy it is to do it. We also list several great resources, including a peek inside our own popular online Memory Training Course, Motivate Your Memory. Current Stats – 475 Students from 61 different countries and it’s still rating a whopping 4.87 stars out of 5! Currently available at 50% Off. Like any self employed freelance entrepreneur, the Professional MC must stay focused & enthused. The Do More – Earn More section, explores Motivation, Professional and Personal Development. 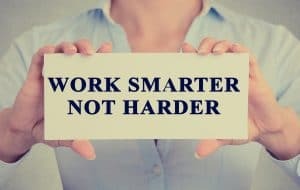 What are some of the “best practice” Daily & Weekly Routines to get more done? How do you develop a winning attitude? How do you get over the slumps? How do set Effective Goals?